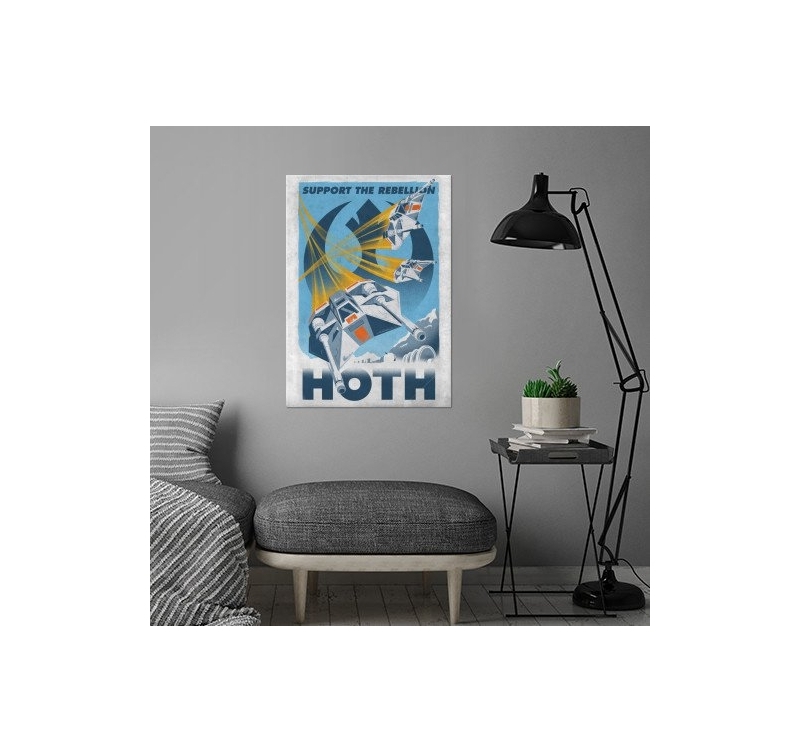 The ice planet Hoth in a vintage wall poster ! This retro Star Wars poster comes with its magnetic hanging system. 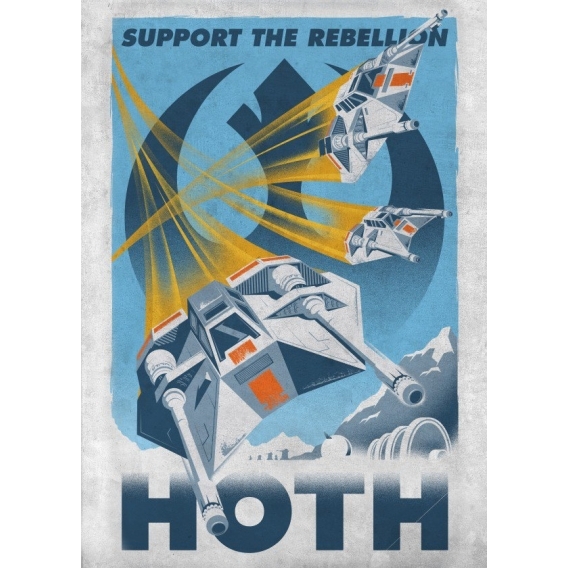 The dimensions of this metal poster of the rebellion are 48 x 67.5 cm. 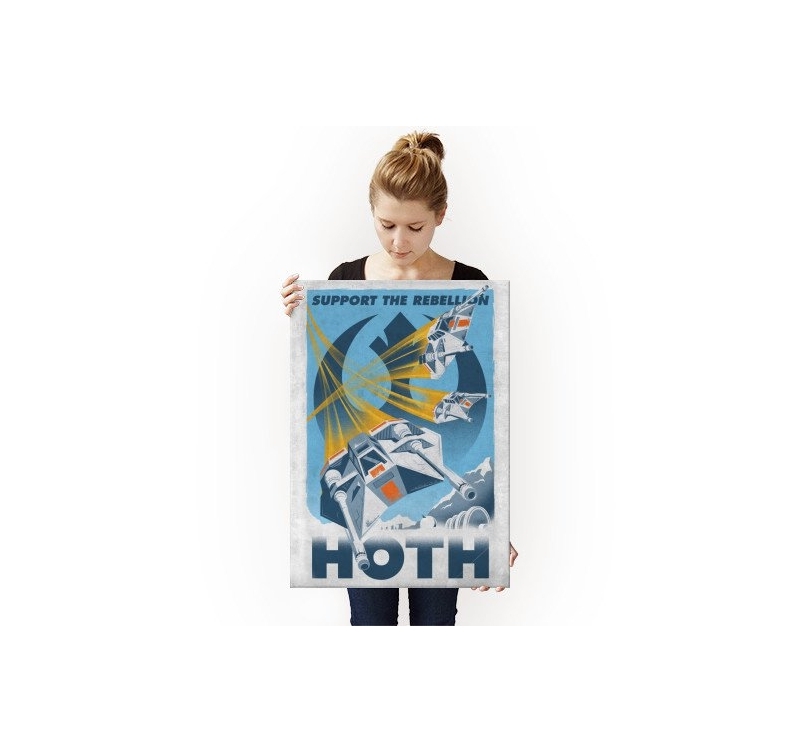 Free delivery in Metropolitan France and Belgium for this Star Wars metal poster. Hoth, the famous all-ice planet of Star Wars, was one of the bastions of the rebellion where a war broke out with the empire. 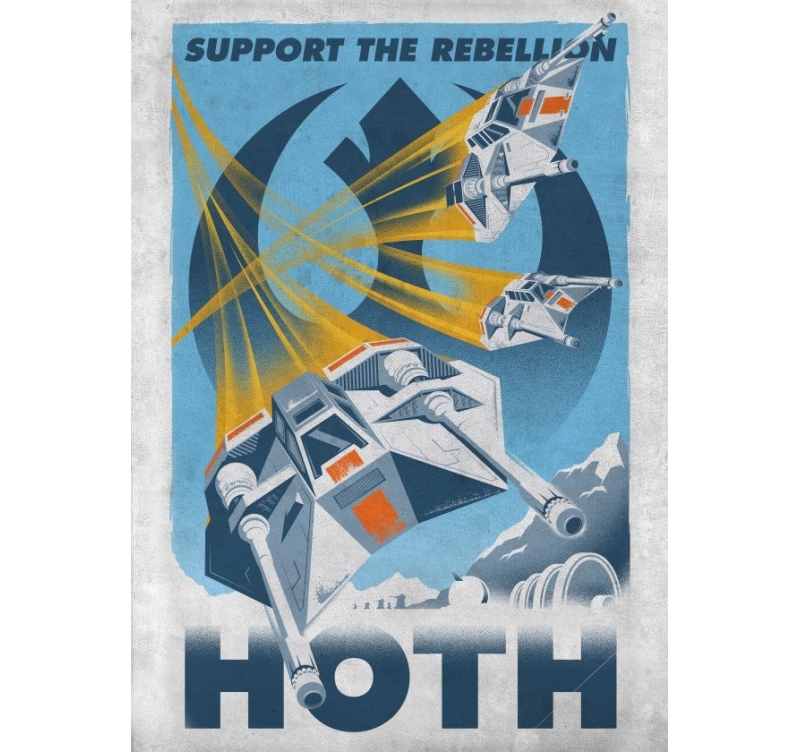 This retro metal wall poster depicts this place with the rebellion's ships ready to attack their enemies. For all Star Wars fans, this metal collector's poster is the piece of art that was missing from your collection. In the style of old movie posters, vibrant colors are printed in high definition on metal. 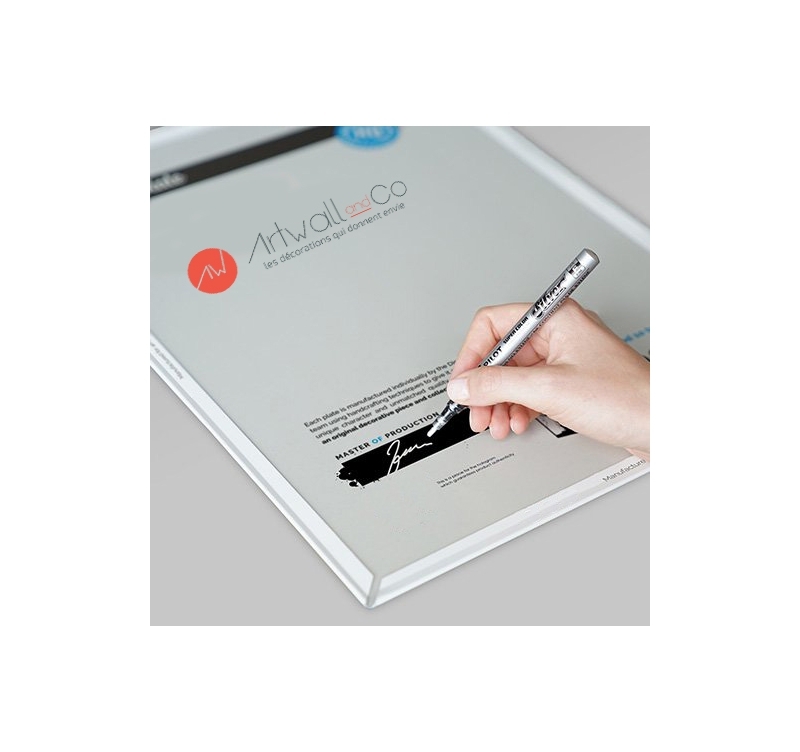 To guarantee the authenticity of the work, this Star Wars metal poster contains a hologram on the back of the poster as well as the signature of the production manager. 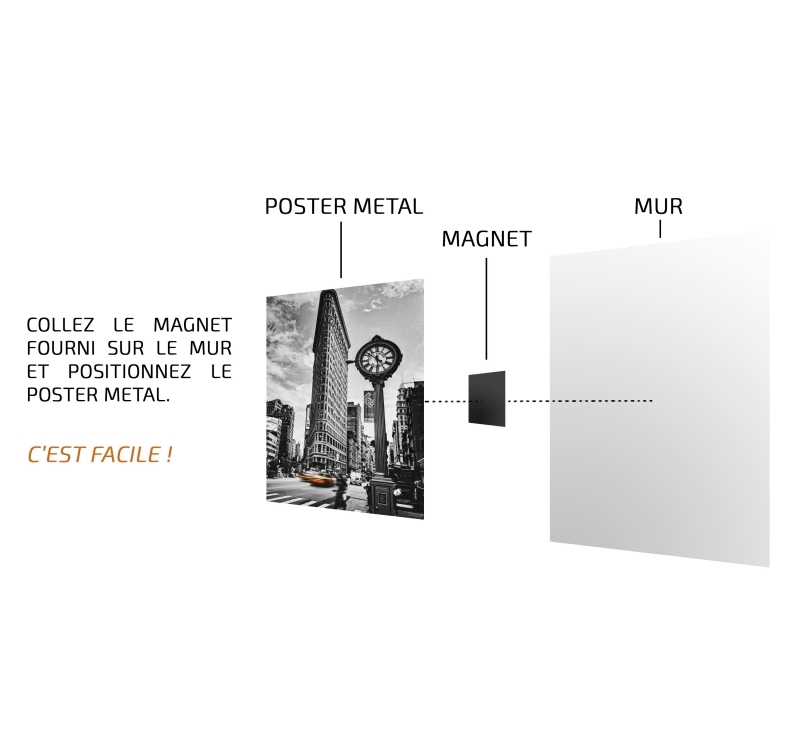 The hanging system comes with this vintage poster and allows you to fix your wall poster design without holes or nails as in our picture.